The small Apple TV 40GB has been removed from the Apple Store, leaving only the 160GB version available for purchase, which also saw a price cut, now down to $229. If you’re satisfied with just getting content from the iTunes Store (or converting your stuff to an iTunes compatible format), the Apple TV is a great media center for all your stuff. It’s cheap and very easy to use. But it’s also very limited. A much better option, if you want to stick with Apple stuff, is the Mac Mini which is currently at $599, then either use the built-in Front Row from Apple or the much better, and free, Plex Media Center for OS X.
iTunes Store is great for Americans, there’s a ton of content available, both music, movies and TV Shows. For us Europeans on the other hand, it’s really not worth a lot, except for the music. But there’s a solution to that, you can just create an iTunes Store account using a US address and then deposit funds using gift cards. 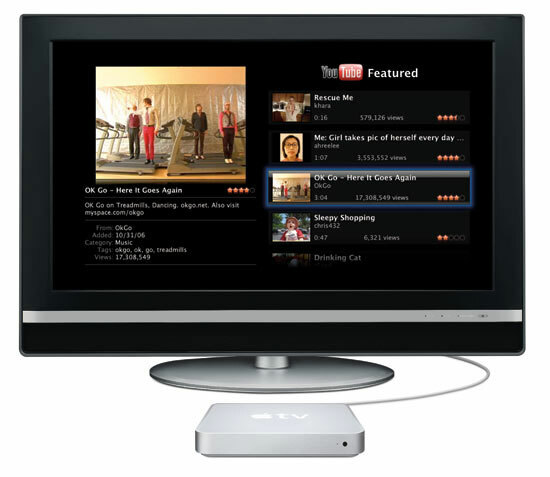 I enjoy using my Apple TV to purchase TV shows and rent movies with it as well as watching YouTube on the big screen.